Listening to a hit song or a new album from a favorite artist deserves the best auditory experience possible. From slow, melodic music, to pop dance tunes – high-performance audio should always be within reach. And by bringing a two-channel audio system into your Lake Norman, NC home, you can achieve high-end sound every time you turn on your media of choice. Want to learn more about how you can elevate your music to a brand-new level? Keep on reading below. SEE ALSO: DO YOU KNOW THE POSSIBILITIES OF QUALITY AUDIO EQUIPMENT? What if you could have a space set apart from everywhere else in your home that was solely for the purpose of listening to music – and truly taking it in? It turns out that you can make any room in your house fit for this. A two-channel stereo system doesn’t need a whole bunch of room for you to install one. The process is simple, and you can find a system setup that falls within your desired budget. From a casual installation to a more elegance setup, every type delivers high-performance audio that will floor any listener in the room. For example, bookshelf or cabinet speakers and an accompanying turntable can work together to make a stereo system that is more cost-effective, and that still provides high-end sound every time. And if you’re looking for an even more impressive display and sound, a higher performing system can deliver audio with less sound reflection or echoes in the space. The sound will be so clear that you’ll feel like the artist or musician is in the room with you. Strategically spacing and placing the speakers the right distance from each other and around the room will provide the ultimate surround sound layout, where you are central to every wave of audio. This is how a two-channel system shows its advantage. If you need even more speakers in place to get that ideal surround sound, installing in-ceiling ones is a great solution. Audio will immerse you from overhead and hit you at every angle. You’ll hear and feel every beat of the music. Even though a two-channel stereo system is scalable and can accommodate most room sizes – you might not be interested in redesigning a whole area for your music. Two-channel headphones are the solution for you then. High-performance headphones allow you to stay completely enveloped in your media’s audio. With a left and right speaker directly by your ears, the sound precision is unparalleled. Its crisp and clear audio – but while you’re able to move anywhere as well. The major differing factor between a dedicated listening room’s stereo system and headphones is the latter’s mobility. You can still enjoy all that two-channel audio has to offer – just with less stillness. Appreciate your music in a new way with high-performance audio. 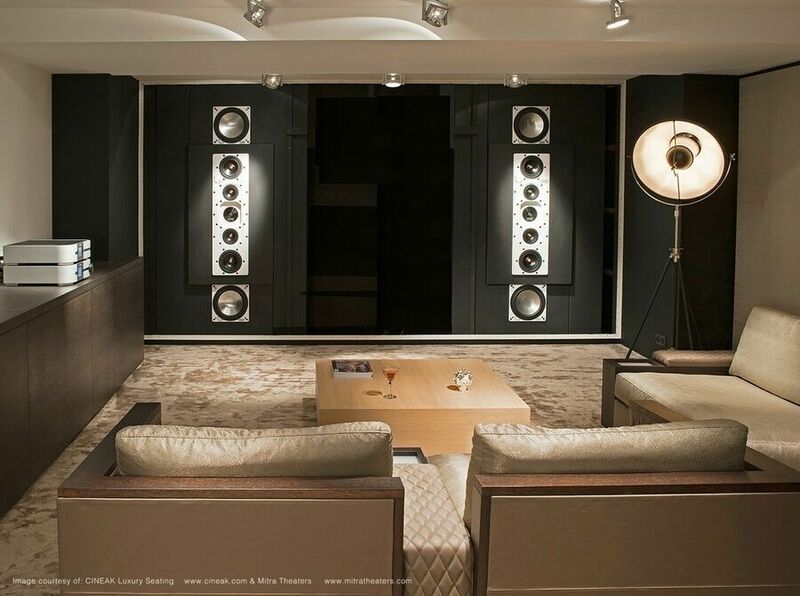 A two-channel system can create an incomparable listening atmosphere every time. Learn more by giving us a call or filling out our online contact form. Our team would love to hear from you!